Did you know you can now order your Deliveroo takeaway from Nonna Rosa here on View? Nonna Rosa is a contemporary restaurant offering authentic Italian cuisine. 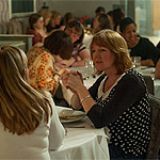 Menu highlights at Nonna Rosa include farfalle pasta, smoked salmon, asparagus, dill & mascarpone; roasted seabass with fennel and lemon; and seafood linguine. "Celebrating authentic and regional Italian food, Nonna Rosa introduces a stunning new menu laden with seasonal and well-sourced ingredients. Designed by chef Brian Scully whose previous experience includes high-end restaurants such as Daphne’s, The Ivy and working alongside George Locatelli." By sending this booking your details will only be sent to Nonna Rosa and will never be shared with other third parties. By clicking this box you agree to the Terms and Conditions set out above. 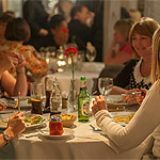 You can book to reserve an area of Nonna Rosa for you and your friends. Just enter your requirements below to see what they have to offer. 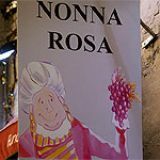 What did you think of Nonna Rosa? Never fails to please me every time I come here, great traditional Italian food, good efficient service and a lovely outdoor terrace area. Came here as a visitor with the wife and kids. Would recommend to anybody...and have!